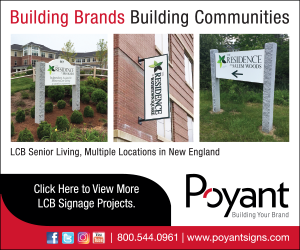 Worcester, MA – Sean W. Brennan of Lamoureux Pagano Associates | Architects has earned his architectural license, and is now a registered architect in Massachusetts. The architectural registration process requires education as well as several years of work experience, and the successful completion of seven sections of the Architecture Registration Examination. Since becoming licensed, he has also become a member of the American Institute of Architects and has received both NCARB Certification and MCPPO Certification for Design and Construction Contracting. Brennan has been a dedicated employee of Lamoureux Pagano for over nine years. “One of my earliest assignments was the St. John’s Food Pantry project, which the firm took on, pro-bono, to celebrate its 40th Anniversary. I appreciated the opportunity to be a part of the team on that project,” Brennan said. Brennan is currently a project architect on the Major Howard W. Beal Elementary School project in the Town of Shrewsbury. Over the years he has been an integral part of the firm’s marketing team in addition to working on numerous projects for the College of the Holy Cross, City of Worcester, and several other private entities and non-profits, including The Haven Country Club, Veterans Inc., and Girls Inc.